The All Progressives Congress (APC) has mocked the presidential candidate of the Peoples Democratic Party (PDP), Atiku Abubakar. The ruling party said Atiku is suffering from post-election depression following his claim that he that he defeated Buhari with 1,615,302 votes. The PDP presidential candidate, in a petition filed at the election tribunal claims that data from the server of the Independent National Electoral Commission (INEC) shows that Atiku polled a total of 18,356,732 votes to defeat Buhari who scored 16,741,430 votes. In its response, APC’s spokesman, Mallam Lanre Issa-Onilu said Nigerians voted massively as a show of confidence for President Buhari. Vanguard also reports that Issa-Onilu issued a statement saying: “While the APC is not oblivious of the PDP’s antics to discredit the credible presidential electoral process, acknowledged by local and international observers, we sympathise with Atiku for the crushing defeat handed him by President Buhari through the votes of Nigerians. “After weeks of dilly-dallying, the PDP has woken up to the stark reality of its electoral defeat and decided to follow the constitutional path of filing a petition at the Election Tribunal. “However, of all the prayers of Atiku before the Election Tribunal, which are at best hollow, the most ridiculous is his claim that the server of the Independent National Electoral Commission (INEC) indicated he ‘won’ the Presidential Election by 1.6million votes. “A few questions would suffice: Is this phantom figure of 1.6million votes Dubai-invented? Was the result sold to Atiku by his numerous marabouts, who we understand, had assured him that the last election was a done deal for him? “Most importantly, we note Atiku’s consistent reference to the “INEC server” as if he is the custodian of that platform. 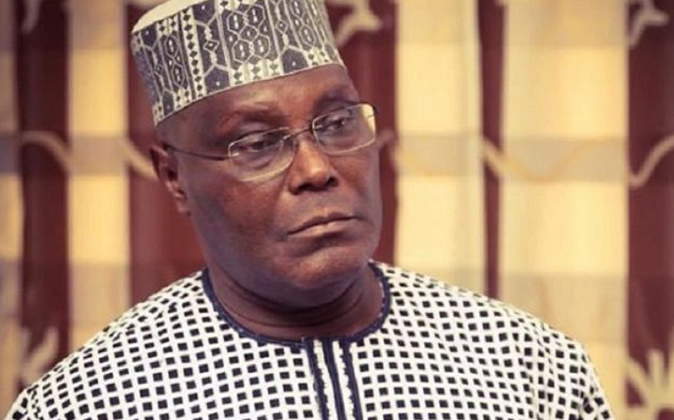 Indeed, Atiku’s constant reference to the INEC server should raise concerns as it is becoming apparent that he and the PDP are up for some dastard activities that are targeted at jeopardizing the INEC database and internal storage system. “We recall the widespread reported cases of several programmed card readers that were retrieved from some PDP agents and their failed attempt to hack the INEC database in the lead up to the then postponed presidential election.